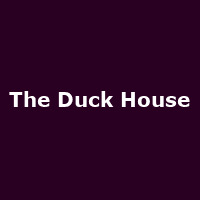 "The Duck House is an outrageous new laugh out loud comedy set in a world of dodgy receipts, dodgier deceit, and pure Parliamentary panic." May 2009. Gordon Brown's Government is in meltdown and a General Election is just one year away. Labour backbencher Robert Houston loves being an MP and will do anything to save his seat - including change sides. All is going well with his switch from red to blue until, on the eve of his final interview with Sir Norman Cavendish, a Tory grandee, the Expenses Scandal breaks. As public fury mounts over taxpayers' millions being frittered away on second homes, hanging baskets, moat-cleaning and duck houses, Robert and his secretarial staff (aka wife Felicity, student son Seb and Russian housekeeper Ludmilla) find themselves in big, big trouble. And how did the EU bring together Seb's gorgeous girlfriend Holly and Sir Norman? Ben Miller (BBC1's Death in Paradise and The Armstrong and Miller Show) as the MP who's got it all - and has claimed for most of it - leads an all-star West End cast of Nancy Carroll, Debbie Chazen, James Musgrave, Simon Shepherd and Diana Vickers. Tony and Olivier award-winning Terry Johnson (Hysteria, End of the Rainbow) directs this hilarious satire from two writers who've been making fun of politicians for decades: Dan Patterson (BBC2's Mock the Week) and Colin Swash (BBC1's Have I Got News For You and Private Eye).